These Comtest Wireless solutions enable rail operators and GSM-R equipment vendors to actively test and measure network performance, using drive-test and unattended systems. 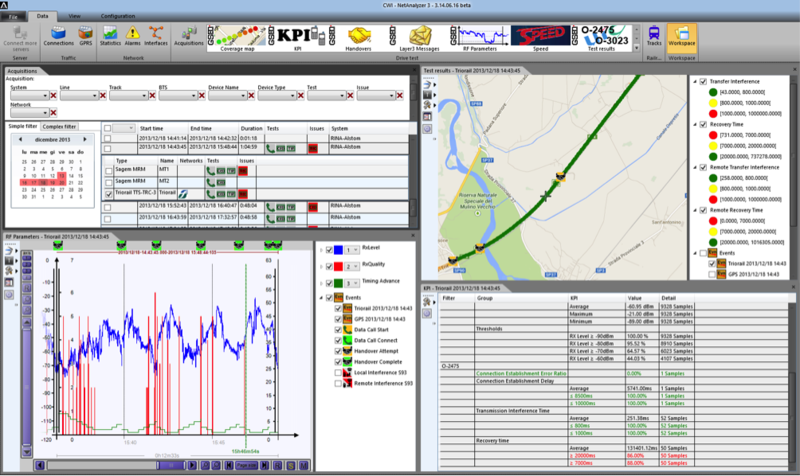 The NetProbe active on-board monitoring solutions combine Comtest Wireless’s deep understanding of the GSM-R and ERTMS sectors together with state-of-the-art technology, to provide a comprehensive and powerful service for railway operators and telecommunications companies. They enable data variables (such as the time, train geo-location and radio message events) to be initiated, collected and collated – as single events or as part of a regular schedule. all features peculiar to GSM-R/ETCS technology requirements, such as GSM-R mobile support, UIC testing methodologies, geo-location measurements in tunnels and more. Request NetProbe Active Monitoring datasheet.